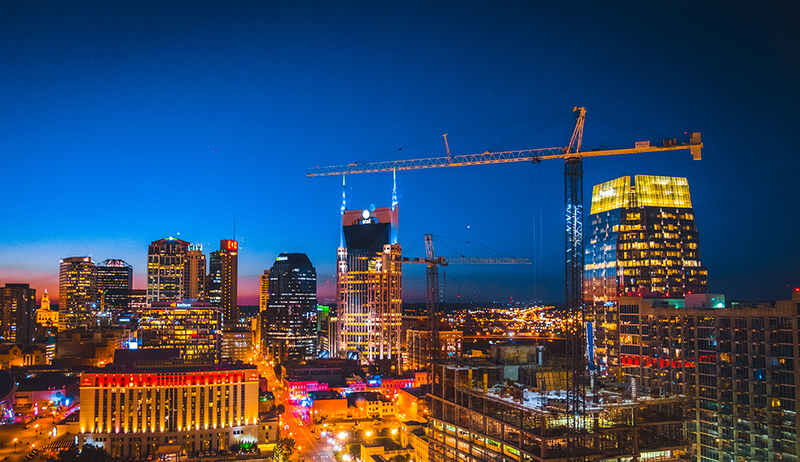 Nashville has been designated the title of Music City, and rightfully so, as it has historically been the mecca for aspiring American artists. It is unassuming to the international eye as it is located in Tennessee, the south-east of America instead of on either tourism-riddled coast. Regardless of its relative anonymity in the South Pacific, I will endeavour to explain why it is worth a visit. As Miley Cyrus, who was coincidentally born just south of music city, once sang with her signature Nashville twang, “I hopped off the plane at LAX”. This is accurate, but then I had to hop off again at BNA, Nashville’s International Airport after a grand total of 18 sleepless hours – a two-hour layover included. Landing for the first time in Nashville three years ago, my senses were immediately and completely bombarded with country music mania. Walking to the car rental kiosk takes you on a scenic route through a barrage of Johnny Cash museum ads and one too many grinning Blake Sheltons’. This matched the impression my pre-departure research had produced of a place that is absolute heaven to the country music fanatic, but a real drag for anyone who is indifferent to the genre. the light-hearted atmosphere to make your time here a beautiful, unforgettable blur. Mentioning my home for the past three years to Kiwis has been met with furrowed brows as friends struggle to recall where and what Nashville is. Occasionally, there is a comment about country music and Elvis or more often than not, my conversational partner will just silently contemplate the place name leaving a gap in which time seems to move extra slowly. Given its lack of exposure in my beloved homeland, I will take this opportunity to gush about my second home. 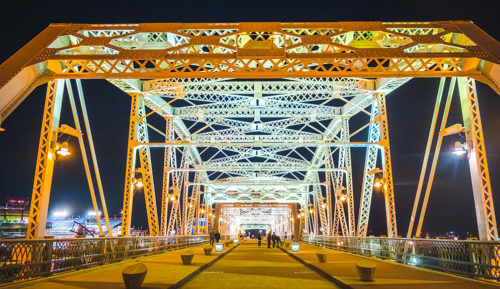 Nashville is a distinct mixture of growing city and traditional culture, a blue oasis in a sea of political red and a famed bachelorette party spot, a city that is both characteristic of and much more than, its country music reputation. 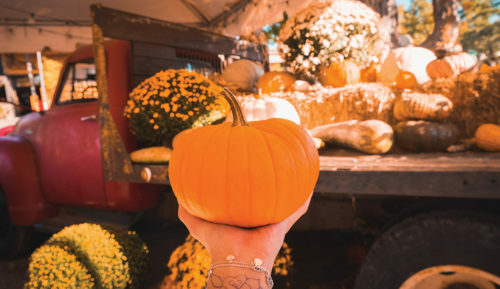 There is nowhere along the coasts where you’ll find shops filled wall-to-wall with leather cowboy boots, festivals celebrating everything from cherry blossoms to charity, and ice-cream soda parlours that rewind the decades. If leather boots and soda aren’t your style, there are charming boutiques suitable for non-Southerners and a thriving coffee culture. Beyond the distinctly Southern flavour of the city, you will discover a city with European architectural influences, a stunning riverside skyline walk and entertainment at every corner. Over my time in Nashville, I’ve incorporated “y’all” into my vocabulary and fried chicken into my diet. Laugh at me now, but “y’all”, the novel-sounding contraction of “you all”, is the most utilitarian word to use when addressing a group of people, try it out some time. I dare you. You would be using a regional colloquialism from a state that has produced many cultural icons. Tennessee is the home of the world-renowned Jack Daniel’s distillery, Nashville hot chicken – savoury fried cayenne pepper goodness – and the high-performing NHL team, the Nashville Predators. There is also nowhere else on the planet where you’d spot musical icons undisturbed by paparazzi. Spotting Taylor Swift at a park or Nicole Kidman and Keith Urban at brunch are very much in the realm of possibility – but you’ll notice the locals treat them like we treat Kakapo – stare in awe of their staggering awesomeness and then just let them be. All in all, Nashville is a place that has something for everyone. Consider this a guide for your first visit to Nashville, an introductory course to experience the specialities in music, food and accommodations for even those who initially feel indifferent towards the genre of music that put this city on the map. Explore Downtown Nashville, a cornucopia for bar lovers, Hattie B’s, a hot chicken establishment, and Union Station, an historical train station-turned-hotel, all whilst bathing in the warmth that is world famous Southern Hospitality. 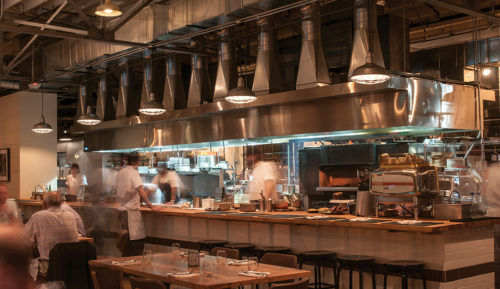 Located in the culinary neighbourhood the Gulch, a mere mile away from downtown Nashville, Adele’s is a joint venture between three restaurateurs headed by celebrity chef Jonathan Waxman. The airy, light-filled space (previously an auto repair shop) is THE destination for buffet brunch in Nashville. Staying true to the philosophy of Waxman’s mother, who inspired the name of the restaurant, Adele’s sources their ingredients and inspiration through local exploration, serving an ever-changing menu with gnocchi, shrimp tacos and the juiciest chicken you could ever imagine. Pro Tip – Order the kale salad even if you are convinced that you hate all that the plant stands for, your mind will be changed. 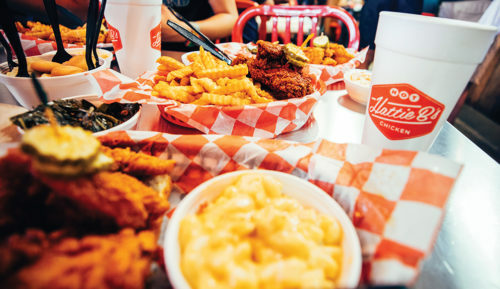 This Nashville institution is the most well-known purveyor of one of the most iconic Southern foods, Nashville hot chicken. Even though there are three locations in music city, you can expect to wait in a long line for your chicken, but I assure you that the wait is worth it to experience the classic cayenne pepper burn. Choose between the hot chicken plates and sandwiches with classic Southern sides – think mac and cheese and coleslaw, and finish off the meal with peach cobbler. To satisfy your sweet tooth, visit Five Daughters Bakery. This family business is famed for the 100 Layer Donut, which is accompanied by a scoop of icecream during the Summer months. The stores and donuts are decorated to Instagram-able perfection and the staff are wonderfully understanding of even the most indecisive customers. 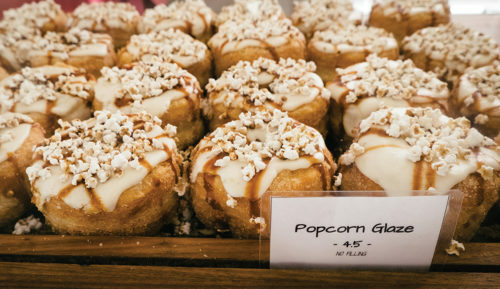 Working with seasonal, local ingredients (not to worry, the King Kong maple bacon beast of a donut is always in season), the bakery has managed to appease each and every customer to walk through its doors with a variety of paleo and vegan options. Check out their donutcam online to test your self-control. As a former car wash-turned-Southern and seafood restaurant, Urban Grub’s setting shows few remnants of its past with walls of custom woodwork accented with stone fireplaces. Serving up the classic Southern fare and fresh seafood, the restaurant executes a large range of food to an exceptional standard. Meat is cured in-house and pasta is perfected inhouse with a vintage machine. In warmer months, you can enjoy your meal in their on-location beer garden. While you’re there, explore the surrounding 12 South neighbourhood to get a feel for Nashville’s hip food district. If you yearn to see Greek classical architecture in the American South, the Parthenon is the place for you. Yes, there is a fullscale replica of the Parthenon in Athens located in Centennial Park, earning Nashville the title of “Athens of the South”. The unexpected addition to a park was designed by Confederate Veteran William Crawford Smith and was constructed in 1897. Hidden inside the concrete structure is the dazzling golden statue of Athena, towering over all visitors at an intimidating 12.8 metres. If you were disappointed by the dilapidated state of the Athenian Parthenon, the Nashville rendition is sure to please. Bar hopping is the appropriate way to explore downtown Nashville after sundown. Signposted by a myriad of giant neon lights, lower Broadway is the best place to experience the live music and nightlife that Music City has to offer. Famous Honky-Tonks – what bars highlighting country music are adoringly called – include Tootsie’s Orchid Lounge and Robert’s Western World. 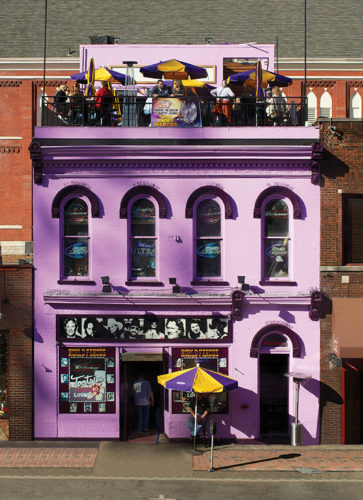 Exploring Lower Broadway on foot will provide you with more than enough options for live music and multi-storied bars, but you can always upgrade the bar hop to a bar pedal by pushing aside your sense of shame and hopping on a pedal tavern to bike (and of course, drink) your way through downtown Nashville. With over two million country music relics in its collection, this museum exhibits the history of the genre from its folk roots to country contemporaries. 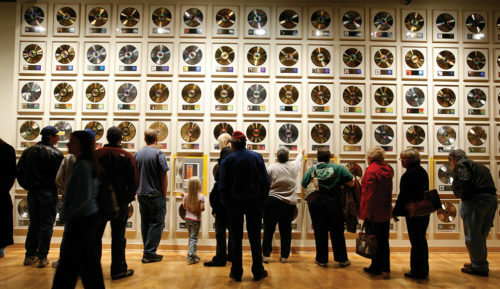 The rustic yet modern museum includes a Hall of Fame, which has inducted music legends such as Johnny Cash, Elvis Presley and Dolly Parton. A visit to this museum is recommended regardless of your stance on the country music genre, as you are likely to find a connection to the displays through the wide-stretching influence of country music. 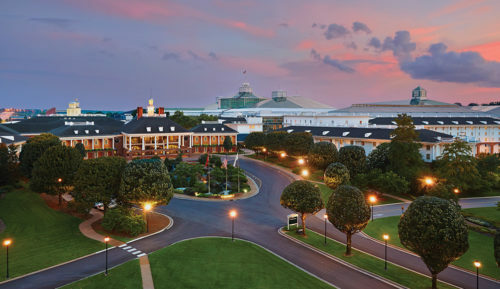 Not a traditional white sand coastline resort, but just as entertaining is the Gaylord Opryland Resort. There are charming boutiques, water features and a striking glasshouse atrium all under one roof, giving the resort a smalltown feel. Right next to the resort is the Grand Ole Opry, the set of the radio show credited with popularising country music, Opry Mills Mall, and the Gaylord Springs Golf Link. The resort has 2,881 rooms, making it one of the 50 largest hotels in the world. A recent renovation has catapulted the Gothic train station-turned-1960s hotel into the 21st Century. The hotel combines its current purpose with its historical roots by pairing the pre-existing vaulted ceilings and gold accents with modern amenities. Explore the equally lavish Carter’s restaurant, specialising in small Southern plates on location, or take advantage of the close proximity to downtown Nashville and the Gulch food district. 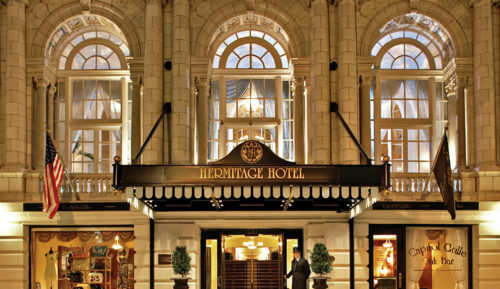 Housing former Presidents during their visits and decorated in the Beaux-Arts style, The Hermitage Hotel is the place for grandeur and history in Nashville. The painted skylights and Italian marble columns make for the dreamiest of lobbies. Opening in 1910, the hotel has had a long history of being the most popular high-end hotel in Nashville, being featured on the American National Register of Historic Places. 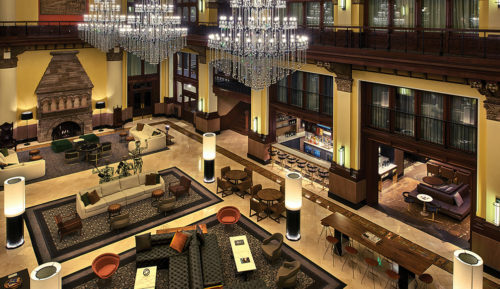 This hotel is the only place you can truly experience the Beaux-Arts style in Nashville. Expect the 20th-century decadence to be matched with equally extravagant service.